Our office is pleased to provide the community with an online resource to help residents and visitors obtain information and conduct business with us. We hope you find this website a useful and friendly environment that serves your needs in an efficient, cost-effective and secure manner. The Joseph Caleb Center District Court is scheduled to reopen on May 6, 2019 at 5400 NW 22nd Avenue, Room 103, Miami, Florida 33142. The Martin Luther King (MLK) Clerk’s Office will be closed effective Monday, April 29, 2019 to facilitate the move to the Joseph Caleb Center Building. We are now accepting Payment Plan Options if you qualify for Felony and Misdemeanor cases only! Pay now! Petition to Seal or Expunge via eFiling: The Miami-Dade Clerk of Courts is pleased to announce the ability to eFile petition to seal or expunge for Felony and Misdemeanor cases. Attorneys must contact the judicial assistant for a court date for felony cases. Go to sealing and expunging criminal and juvenile records for more information. Miami Dade Clerk of Courts announces that effective August 1, 2018, On-line Foreclosure Sales will be conducted Monday, Tuesday and Wednesday, beginning at 9:00 a.m. Please visit www.miamidade.realforeclose.com for additional information. We are confident that this change will better accommodate us in continuing to provide you with service in the most efficient and productive manner. Please read NOTICE for Child Support & Alimony on private payments from obligors. Clerk of Courts Harvey Ruvin Honored as the 2016 Elected Official of the Year by the South Florida Chapter of the American Society for Public Administration (ASPA). 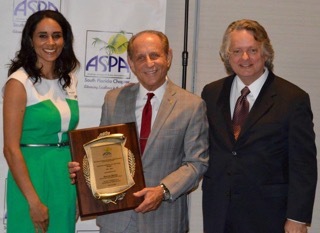 Miami Dade Clerk of Courts, Harvey Ruvin was honored as the 2016 Elected Official of the Year by the South Florida Chapter of the American Society for Public Administration (ASPA). The award was presented to Clerk Harvey Ruvin by Terry Murphy (President of the South Florida ASPA chapter) and ASPA Board member Dr. Agatha Caraballo. “It is wonderful living in a community that cares so deeply about its environment. AND –I’m so proud of our team of talented professionals, all committed to providing efficient cutting-edge public service”, Harvey Ruvin, Clerk of Courts. The Miami-Dade Clerk of Courts is honored to be the recipient of two 2016 National Association of Counties (NACo) awards for the following Information Technology organizational initiatives: (1) Online Case Search –Public Access to Court Document Images and (2) Civil Court - Paperless Operations with Odyssey Implementation. For more information please visit NACo.